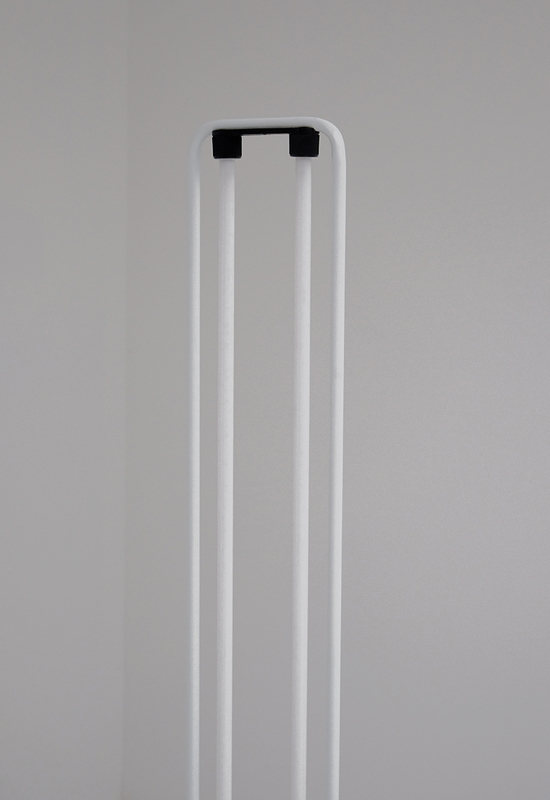 Modern large floor lamp designed by Gian Nicola Gigante for Zerbetto Italy 1981. 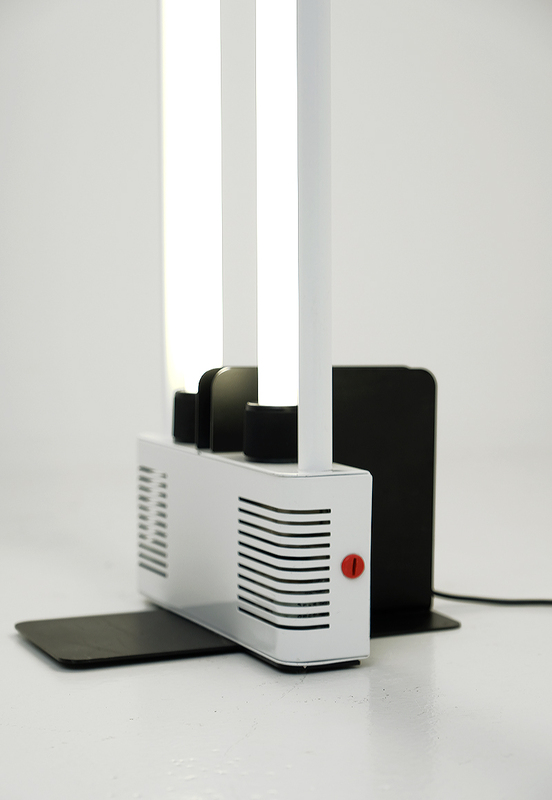 The simplistic design gives this lamp an extra dimension as an object. 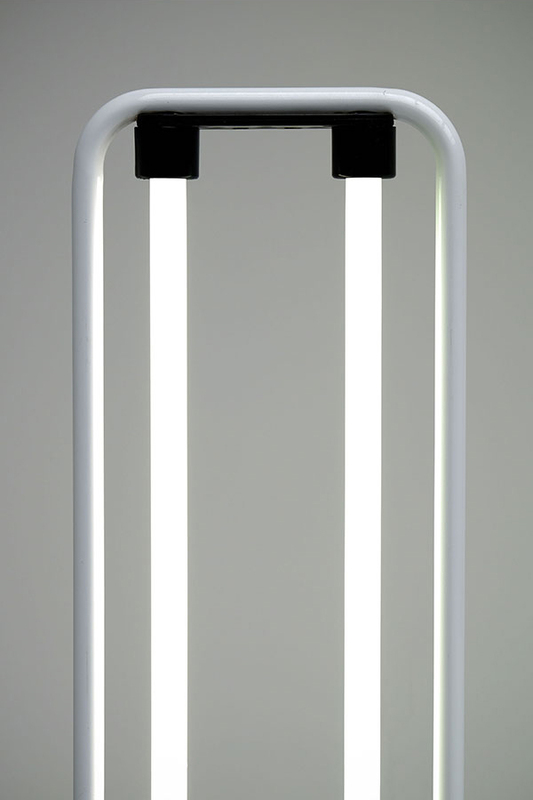 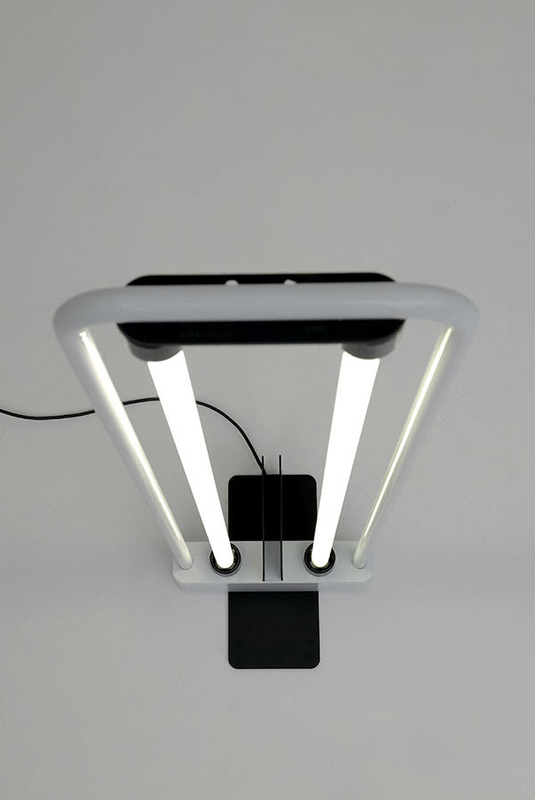 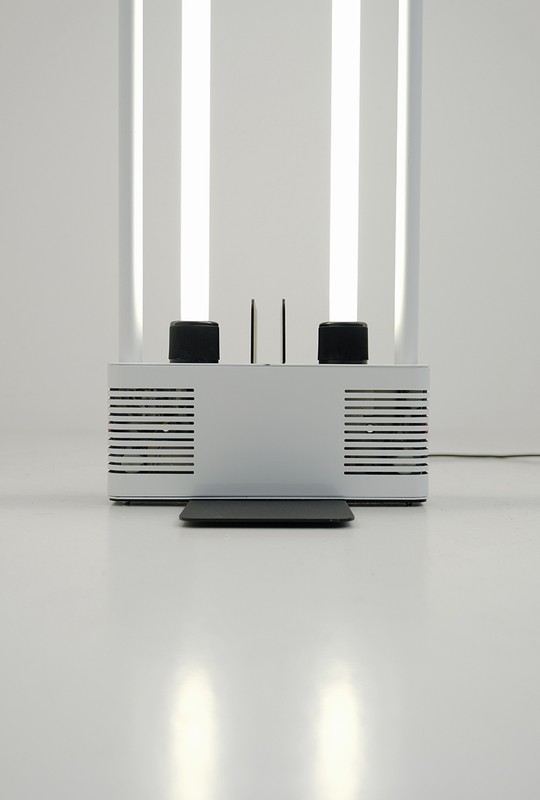 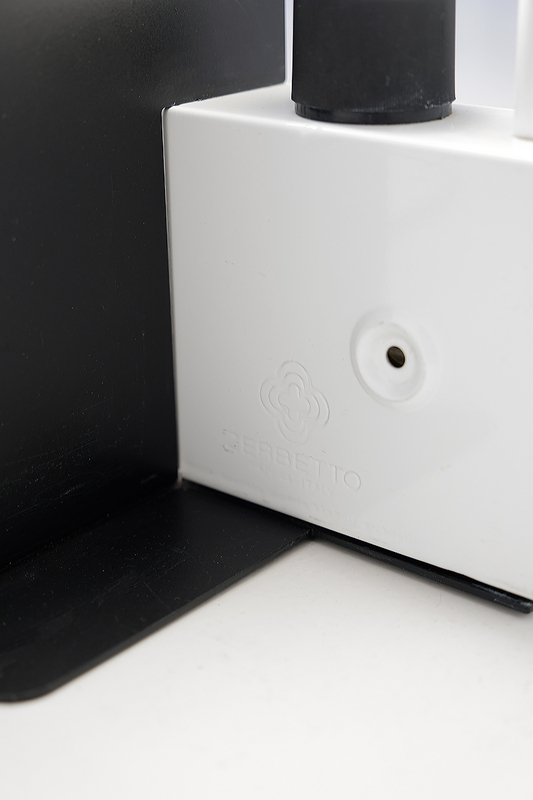 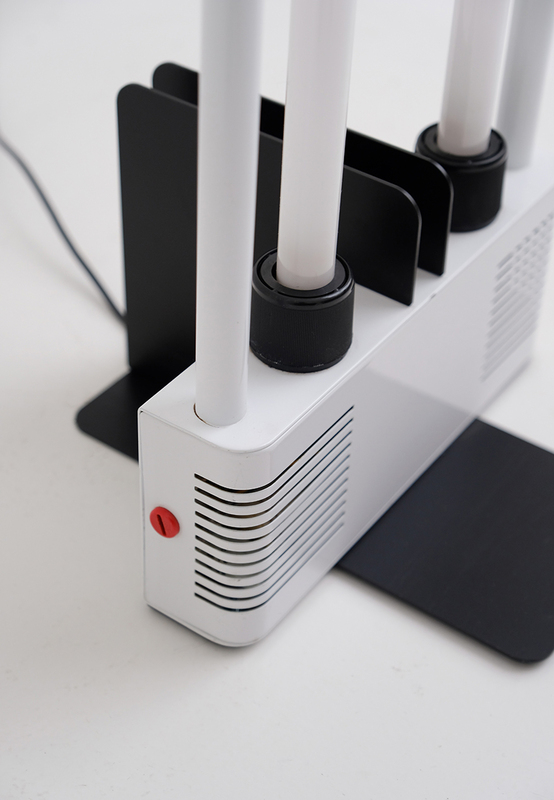 The lamp has a white frame with black details and contains two lightning tubes. 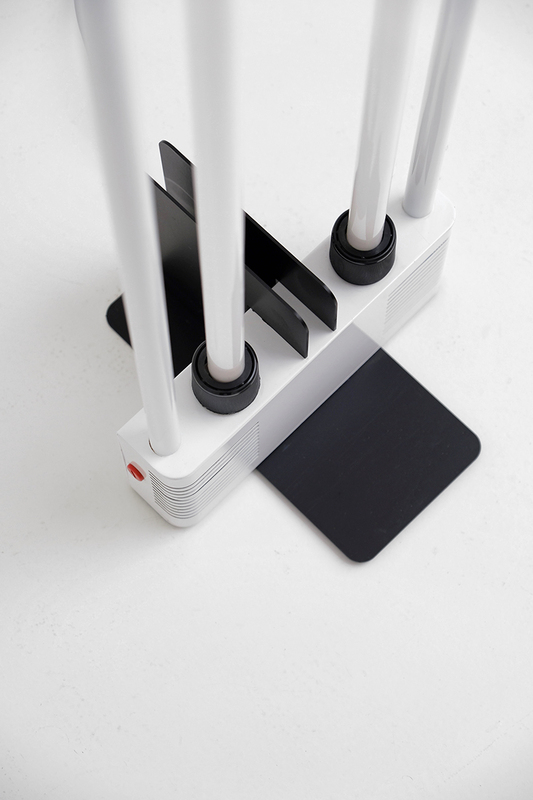 A very decorative item dat fits into any playful interior. 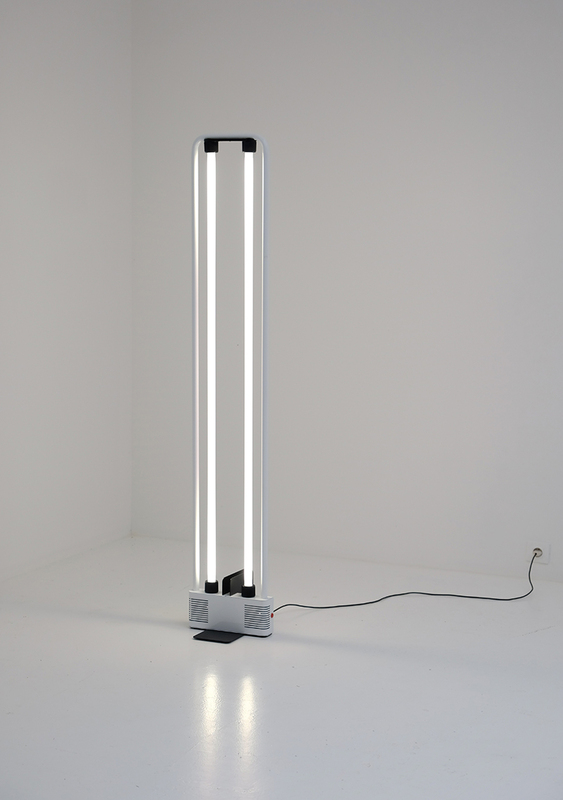 Two identical floor lamps are available, the price is for one.